Last night, Harrison Ford and Lady Gaga were honoured by SAG-AFTRA for their humanitarianism. Before the ceremony, Ford was asked about Chris Pratt’s involvement with the upcoming Indiana Jones films. 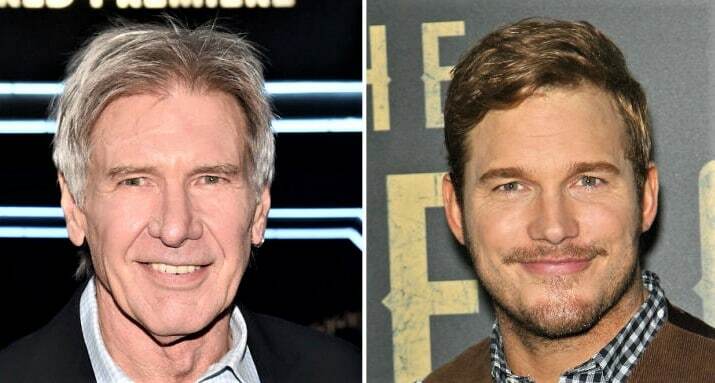 Until now, we don’t have much information about the anticipated instalment of Indiana Jones, but there have been many rumours around Pratt’s involvement in the film. Pratt was even rumoured to be the next Indiana Jones back in 2015, but Steven Spielberg erased all those rumours. “There is only going to be one actor playing Indiana Jones and that’s Harrison Ford,” Spielberg assured Screen International. With many speculating that Pratt would show up in the film, perhaps as Jones’ son, a role earlier played by Shia LaBeouf. Variety stated that Ford told everyone with a simple response when confronted with the possibility of working alongside Pratt. “I think it’s him or me,” he replied. This pretty much indicates that the only way Pratt could be involved in Indiana Jones is if he dons the famous hat and whip. The fifth instalment of the Indiana Jones franchise has been pushed back for a 2020 release now. It’s been 10 years since its last part Kingdom of the Crystal Skull came in. For all fans who like to watch Spielberg can wait for West Side Story, which is set to release in 2019.